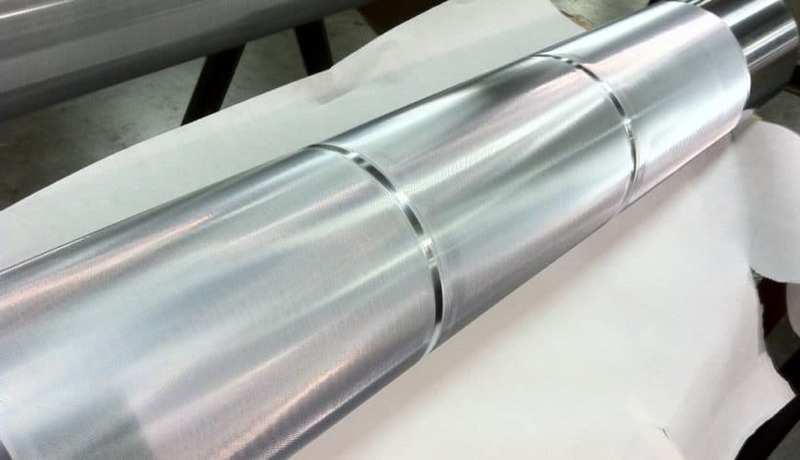 Precision rolls are used to control the coating thickness and uniformity in a coating operation. Industrial customers depend on MECA Solutions to deliver exceptionally tight tolerance rolls for a wide range of applications. Coater rolls and roll coating machines apply liquids such as adhesives, oils and varnishes to a variety of substrates. The coater rolls must be straight and concentric for uniform distribution of the coating liquid. Anything less than precise results in lost time and money, and a suboptimal final product. Metering roller – The coating thickness is controlled by adjusting the gap between the coating roll and the pickup roll or the metering roll. Metering blade – Rather than adjusting the amount of liquid application with another roll, this technique relies on a blade to adjust the gap between it and the coater roll. The excess liquid caught by the blade flows back into the tank. Transfer rolls sytem – Transfer roll systems are similar to metering roll systems, using a series of precision rolls with various covers or features such as heat transfer capabilities. MECA can work with your existing coating machine and process to develop efficient coater rolls for a variety of adhesives and other liquids.